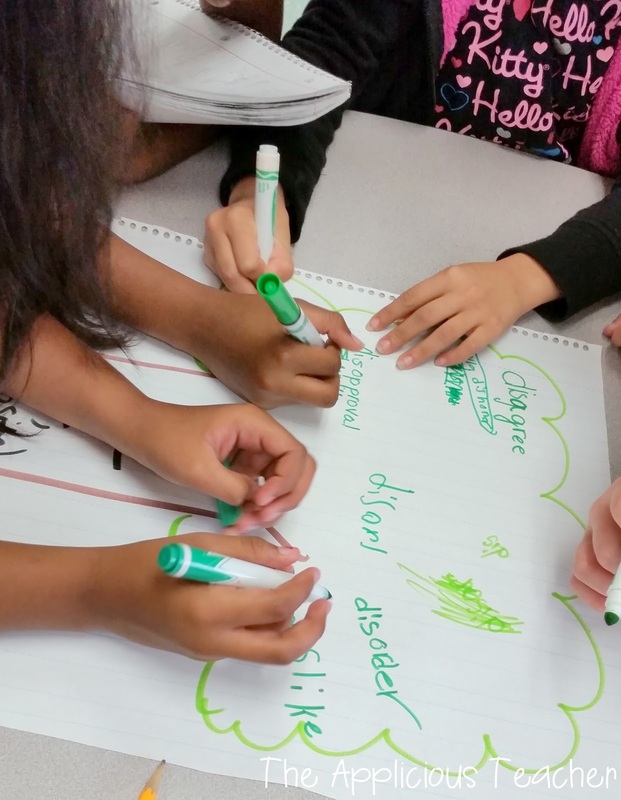 What do you do when pictures and context clues aren’t enough to help a child understand the meaning of a word? I had to tackle this very problem in my 3rd-grade classroom this year. The majority of my students were proficient readers. 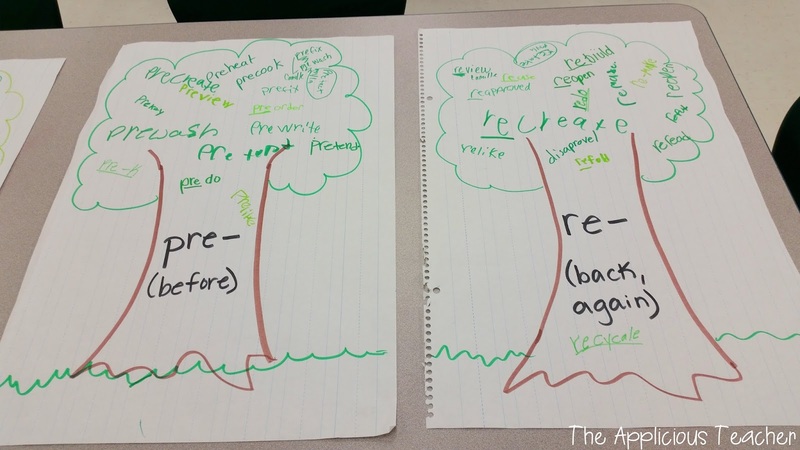 They could sound out words that did not know rather well…even those tricky multi-syllabic words that littered our new third-grade rigorous text. I noticed that most of my students relied too heavily on context clues and pictures to help them understand the meaning of the new words they came across. They’d make their primary teachers proud! But our problem was most of our “BIG” third-grade text lacked pictures and the context clues weren’t always enough. We needed a different strategy and fast! 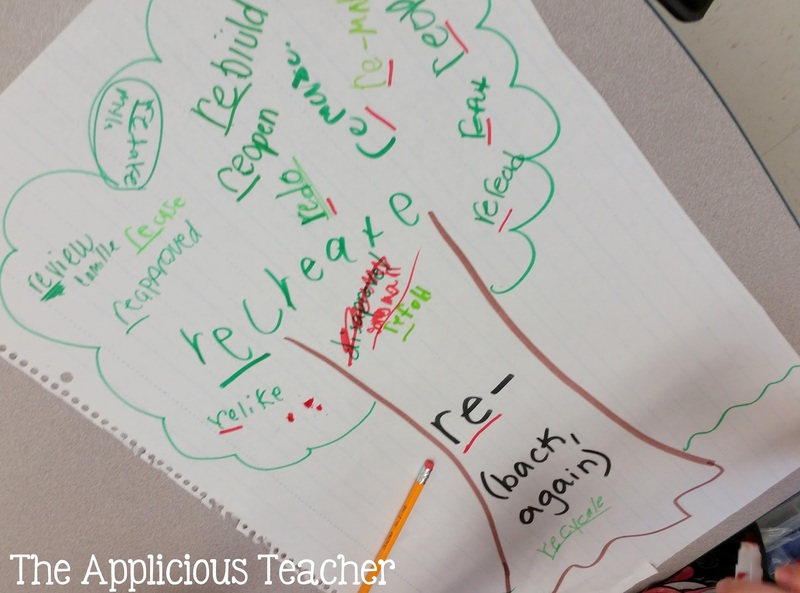 So what’s an Applicious teacher to do? Word studies, peeps! Word studies! 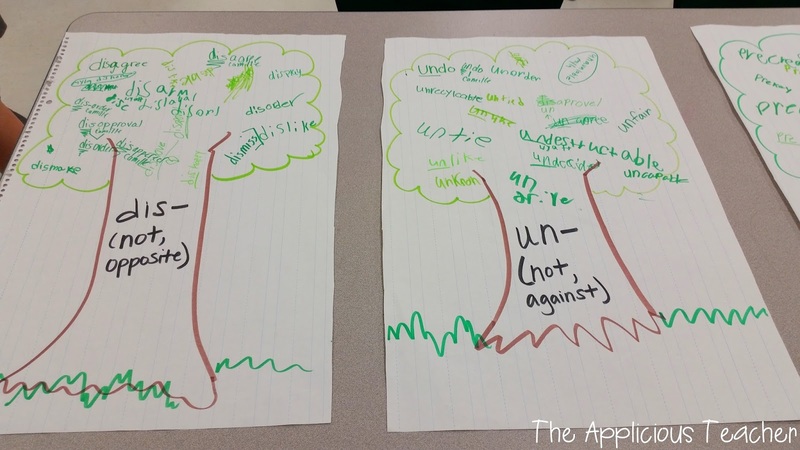 Ahead of time, I had made an anchor poster for each of the prefixes we were studying. Then, I set them up around the room with a marker at each station. I gave the class 7 minutes to walk around and write words they already knew that exemplified the given prefix. The only catch? They couldn’t repeat a word that was already written. The next day, I grouped my students into 4 groups and each group got a poster. Their new job was to review each word on the poster and confirm that it indeed belonged on our exemplar poster for that prefix. They checked for spelling and also had to make sure it was a real word. 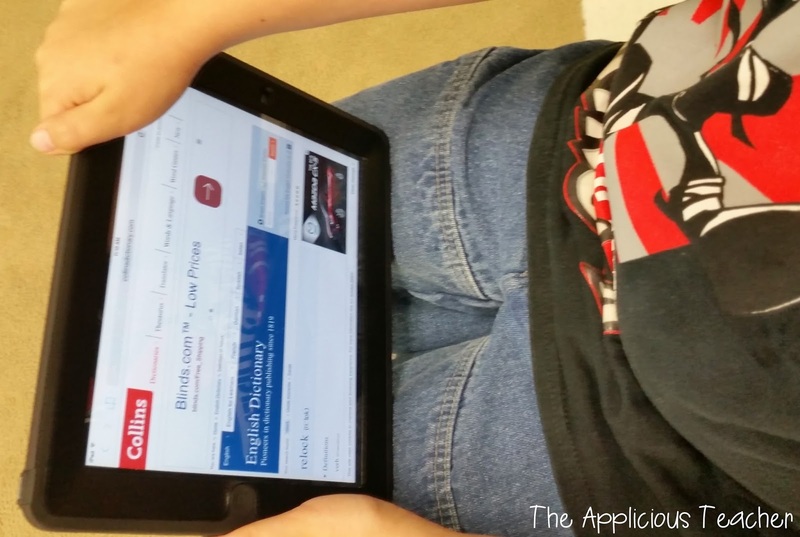 We used Dictionary.com on the Ipads to confirm our words. 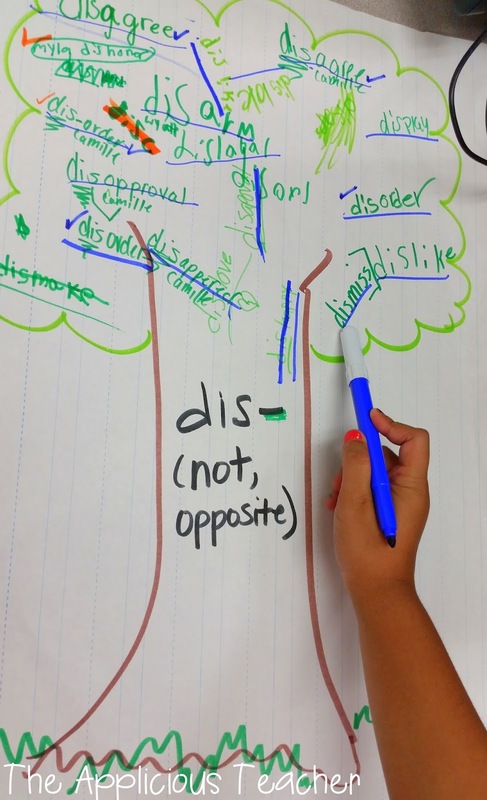 The kiddos crossed out any words that didn’t belong and checked off the words that did. 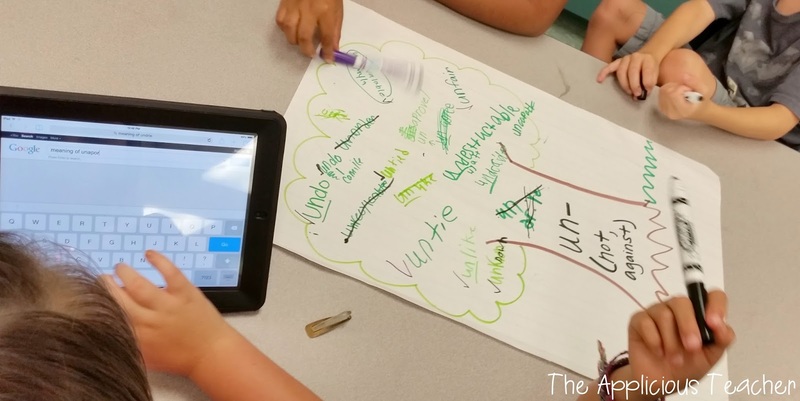 Such an engaging and exciting way to put the learning in student’s hands. 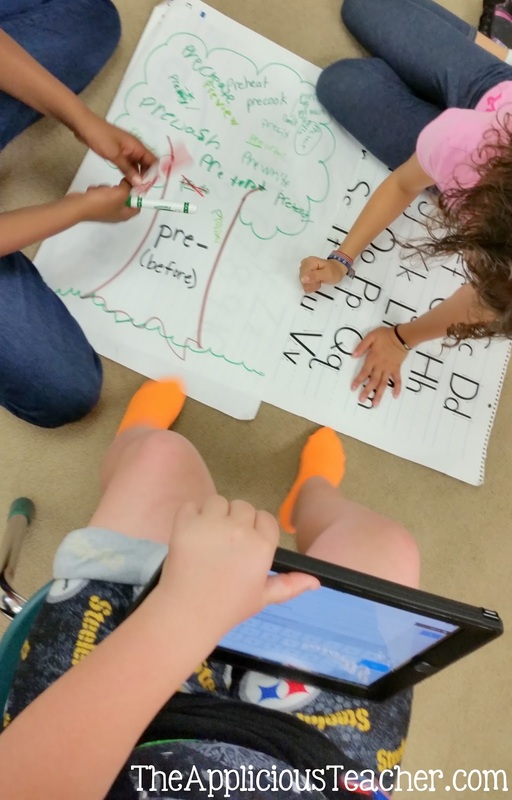 My thirds loved being the “teacher” and checking over each other’s work. We also made notes in our Reading Response Journals. This made it easy for us to reference for the rest of our unit! Once we were started to understand words with prefixes a little better, we started playing games! Games just make learning so much more fun! And they provide easy practice without the threat of a student getting it “wrong” and minimize paperwork for the teacher! 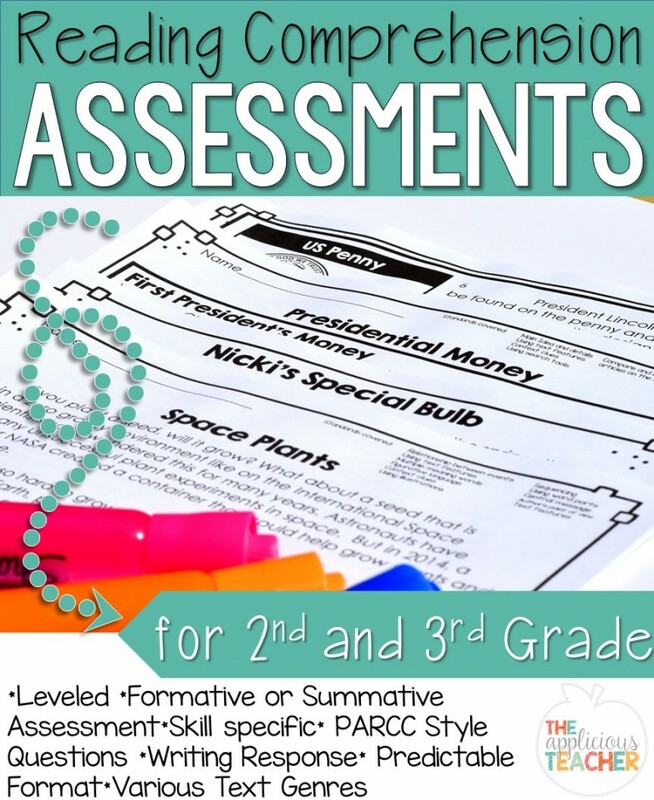 (You can read more about reducing your graded paperwork work stack here!) Double bonus! ***Game Tip***: To get more bang for our buck, we’d first play the game as a whole group, then I’d put it in a center for small group time for more practice. To play, I divided the class into two groups. One red and one blue. I displayed one large Bingo board game with base words on the document camera. 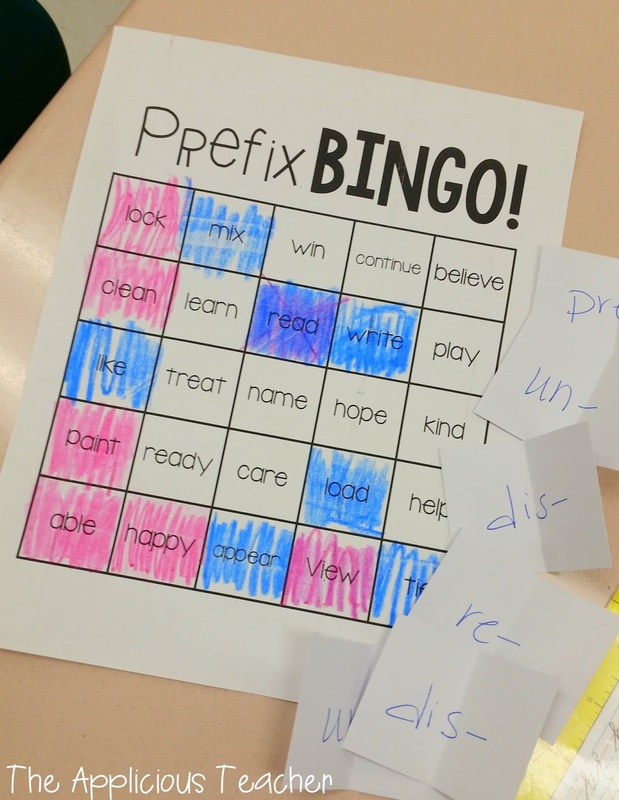 Then taking turns, students grabbed out a prefix bingo card. If it was a real word, the team won that square. Their goal was to get four words in a row to win. For the small group game, I printed the rest of the game boards out on fun cardstock and laminated them. The students played more in a “Bingo” style fashion using colored counter chips to cover their base word if they were able to make a word. Of course confirming that a word we create was actually a word is time-consuming if you don’t have a teacher involved to speed along the process, so I also included a reference page for the students to check their words once a student had “Bingo”. 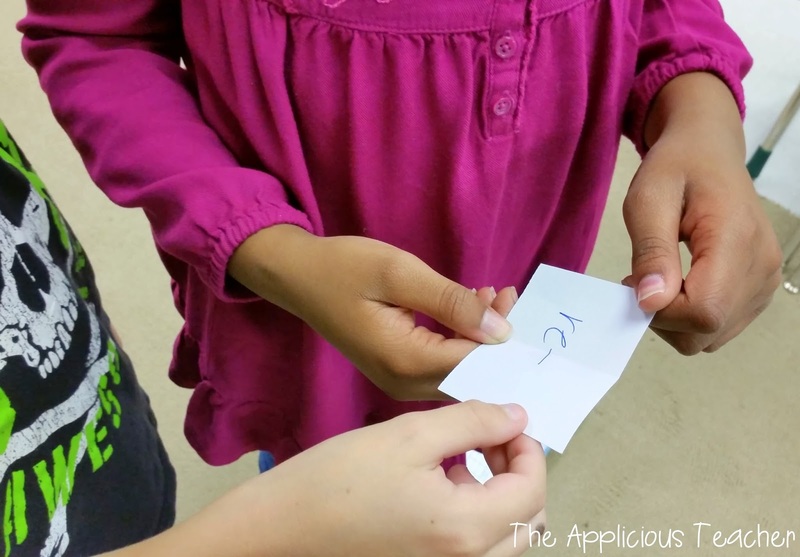 Another game my kiddos loved playing was “I Have… Who Has” Prefix Style. Any teacher who has taught about prefixes (or any affix for that matter!) knows that once kids understand what they are, they want to use them on EVERYTHING! The problem? They don’t always make real words. So to help with that we played a little word ID game. 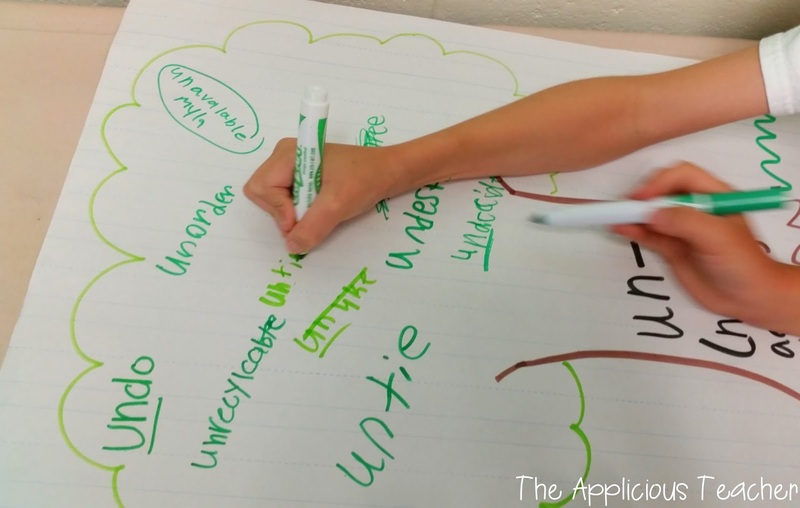 This is perfect to help check for understanding towards the end of your word study unit as it requires a true understanding of the affixes and how they are used. To play, I gave each student 2 index cards. On the cards, they had to write a real word and a word that wanted to be real (an Impostor!) 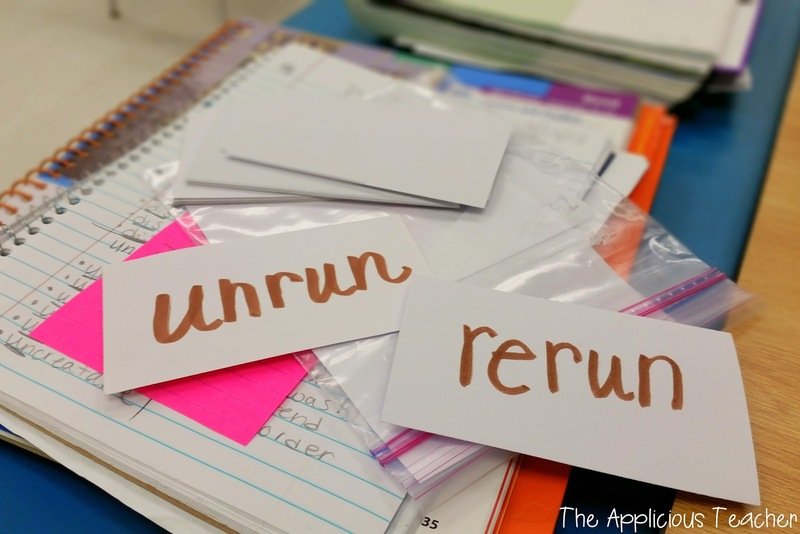 using one of the prefixes un-, re-, pre-, or dis-. Then, I collected up all our cards. Then, back down on carpet we sat in a circle and passed back the cards to different students. Taking turns, we’d read the cards and decide if the word was “Real” or an “Impostor”. and put it into different piles on the floor. The kids LOVED trying to trick each other with their words! Warning: giggles will ensue! For small group, I created word cards that they were able to sort. For grades, we did a few formative assessments to spot check for understanding. and one summative at the very end of our study. I’ve made it super simple to use by breaking it down into 3 main parts. You can check it out here in my TpT Store! 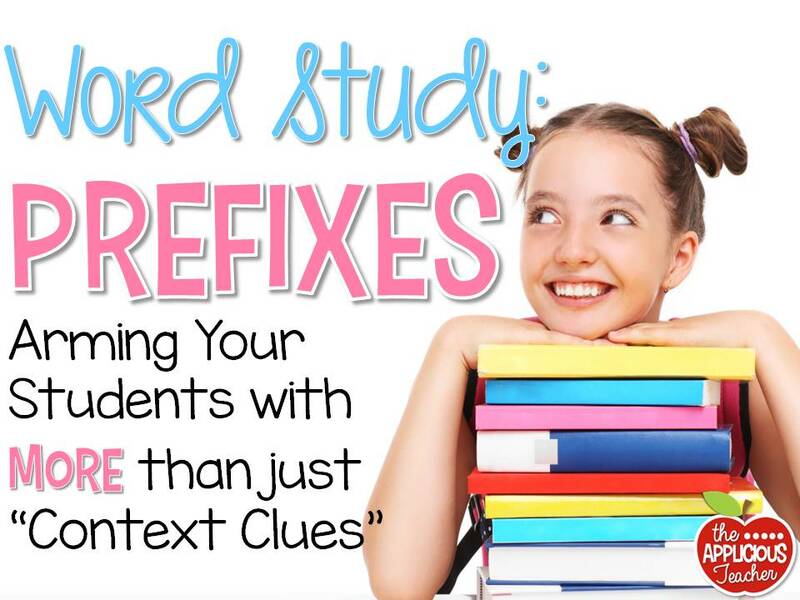 Or you can buy the bundle for prefix and suffix activities and save BIG! I’d love to hear what strategies you teach your students to help them understand the words they are reading! Be sure to share below! Wowy! I hit the jackpot with this post!!! Can't wait to use this in my classroom!!! Thank you so much for your kind words! I am glad you were able to take away some great ideas! 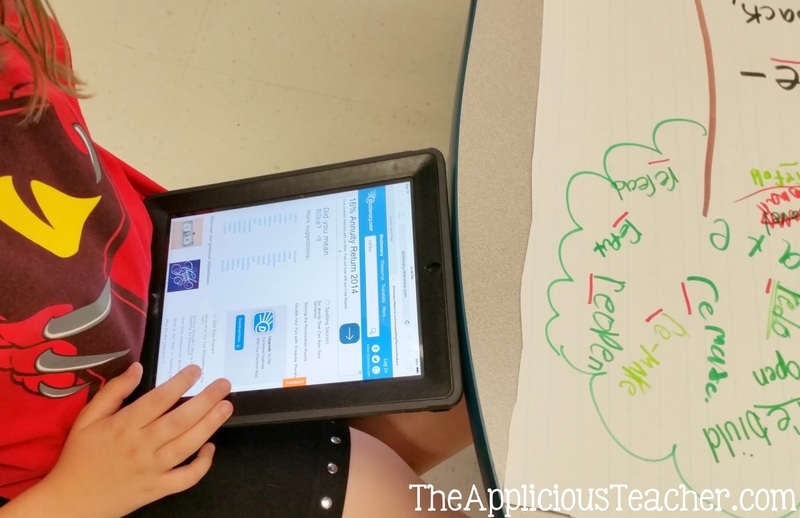 So many of these activities can be done WITHOUT my resource! Awh! Thank you for your sweet words! Wouldn't the world be a better place if we could just pick who we wanted on our teams? 😉 So I glad I could inspire you! Thank you for all those wonderful activities! !